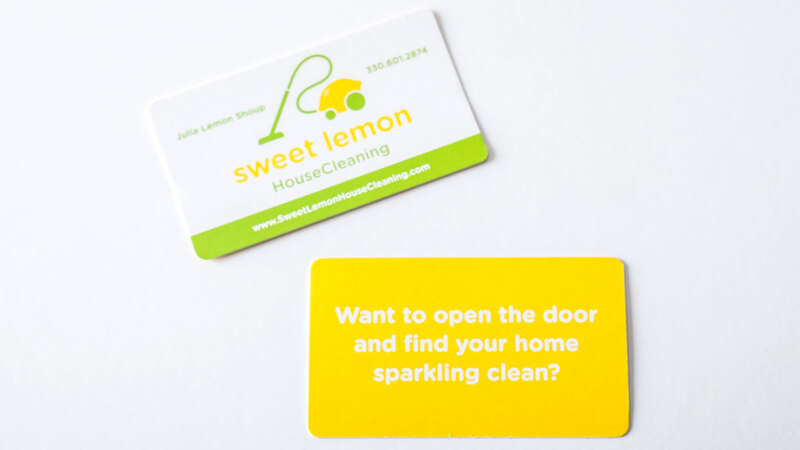 The owner of Sweet Lemon wanted to start her new business off memorably, so she gave Cassel Bear the task of designing a logo that would convey the feel of her new enterprise: light, fresh, whimsical and bold. Our designer worked with several fun ways to actually incorporate the lemon into his illustration, while also experimenting with different combinations of color and font. The result? A logo that the client was crazy about. Cassel Bear then took the next step and turned the logo into a business card. The choice to use rounded corners helped unify the shape of the lemons and the curves in the font into a cohesive whole.